If I was a Seagul..I would fly as far as I could! ~ I would fly to faraway places and sing for many people! This beautiful scene is taking place after Link beat the Slime Eyes boss in the third dungeon of the game, the Key Cavern. A sleeping walrus is blocking off the entrance to the next part of the game and only Marin, one of the nice people who live in Koholint Island can wake it up through singing a song. 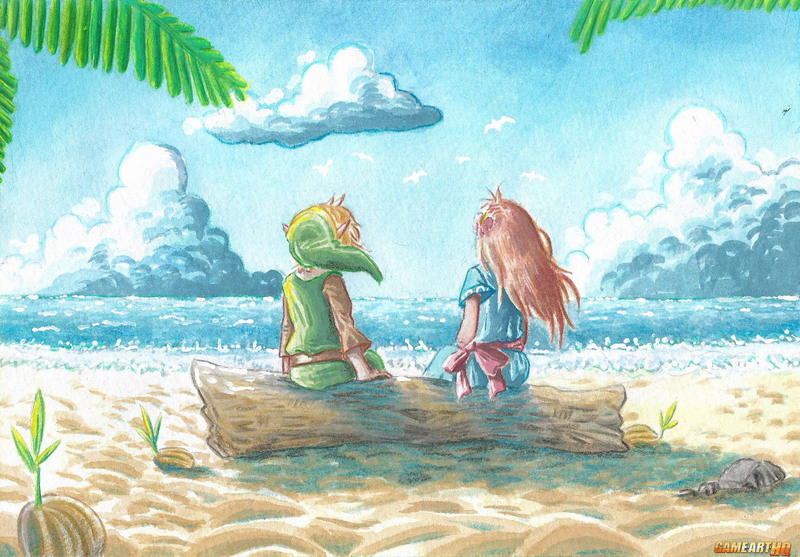 When Link enters the beach, a small cutscene with the scene illustrated for our art project will play out. To understand the true meaning of Marin’s kinda sad wish you need to know the big plot twist and ending of the game..something I rather not spoil here. 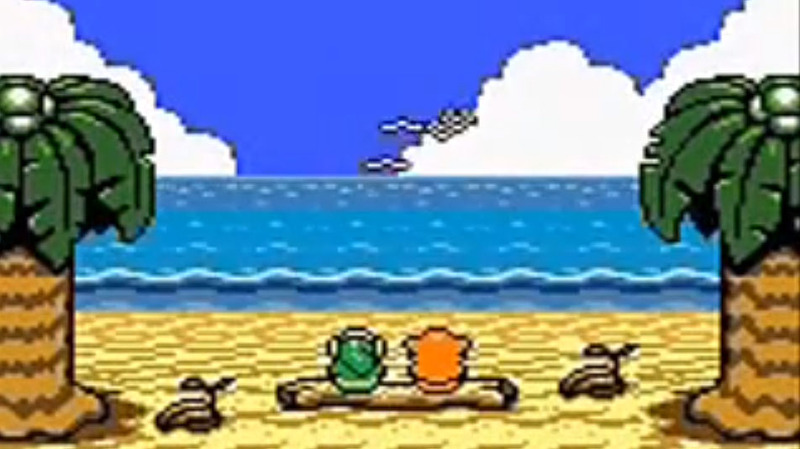 The Legend of Zelda: Link’s Awakening was first released in June 1993 for the Nintendo Game Boy in Japan. It reached western regions relative fast for that time, just two months later the USA and in November eventually Europe. (I was so happy this cool rental store here in Germany had the imported US version already in August!). It received a remastered version known as LoZ: Link’s Awakening DX for the Game Boy Color that was released in December 1998. After the big success of LoZ: ALTTP on the SNES, Nintendo tried to port all the experiences and features of that game into a little Game Boy cartridge and somehow they were able to create a wonderful game that is till today often listed as one of the best handheld video game of all times. The two versions together were sold over six million times, more than any other Handheld Zelda so far. While the Legend of Zelda games are usually set in Hyrule, this game takes place on a small island named Kokolint. Link has to explore the island and its dungeons, find many secrets and meets a good couple of characters from other well known Nintendo games. …some of them can be found in our big Link’s Blacklist ..the Legend of Zelda Bestiary. She joined Game-Art-HQ in 2017 and liked our VG Character Collaboration, Ganon from the classic Zelda was her first contribution, in 2018 she also joined our Pokemon Generation III Tribute and eventually her beautiful take on Link’s Awakening. We have only a few artists on board that are using traditional tools anymore, which makes her gallery something really special these days already. Have a good look for ton of great Legend of Zelda and Pokemon art among other stuff as well!